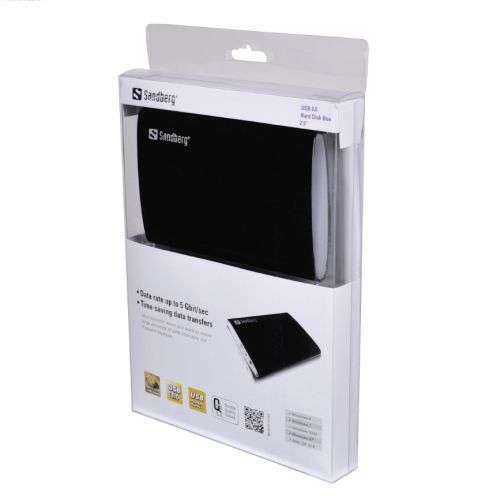 The Sandberg USB 3.0 Hard Disk Box 2.5″ allows you to connect a SATA hard disk externally to your computer. The USB 3.0 connection enables you to achieve impressive data transfer speeds of up to 5 Gbit/sec. This is ideal, especially when you want to move large amounts of data and carry out frequent backups. The hard disk is easy and quick to fit into the box, meaning you can use it within minutes. English user guide.